Raees, an upcoming Indian film has created a lot of mystery in choosing the female lead. Initially the director of the movie wanted some International face to be introduced but the stardom of an emerging from Pakistan has made them to rethink their decision. The casting of the leading lady of this film has been a mystery for a while. The actress Sonam Kapoor and very recently Kirti Sanon were in the league to appear as aShah Rukh Khan Starrer film. Finally, the Pakistani beauty Mahira bagged the coveted role. The Hamsafar famed star Mahira Khan, whose Adnan Malik Starrer drama ‘Sadqay Tumhare’ is currently being aired, has mostly been playing the girl-next-doorprototype. Recently, Mahira visited India to meet her fans as her drama serial Hamsafar has driven the Indian watchers crazy over her. 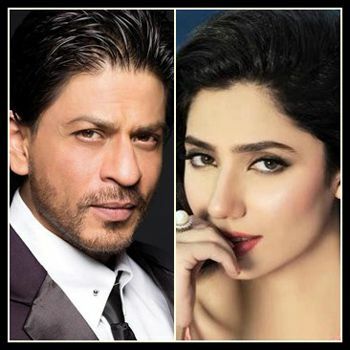 Mahira is slated to make her 1st Bollywood debut opposite Shah Rukh Khan in the much talked about Raees. Mahira visited Mumbai last month after her television serial Humsafar gained popularity in India. Mega producers Ritesh Sidhwani and Farhan Akhtar were the quickest to move in, finalizing the actress for ‘Raees’ which is being directed by Rahul Dholakia. The director has won a national award for his film Parzania (a true story of a 10-year-old Parsi boy, Azhar Mody, essayed in the film as Parzaan Pithawala in the film, who disappeared after the 28 February 2002 Gulberg Society massacre, during the communal riots in Gujarat in 2002 during which 69 people were killed). The film traces the journey of the Pithawala family while trying to locate their missing son. Shah Rukh Khan will be playing a role of don and is likely to have Nawazuddin Siddiqui playing a cop. Nawazuddin is an Indian film actor who has appeared in some of Bollywood’s major films including, Black Friday, New York , Peepli Live, Kahani, Gangs of Wasseypur, Manjhi and Talaash. Mahira plays SRK’s wife in the film. He’s a gangster based in Gujarat while Nawazuddin Siddiqui is the cop who traps him in Mumbai. It’s a complex role and both the film’s director Rahul Dholakia and producers, Ritesh Sidhwani and Farhan Akhtar, believe she is perfect for the part.